Clinton needs to go bold: using her experience and competence as the basis for laying out a big agenda for change that can help build enthusiasm and turnout. Hillary Clinton will accept her party’s presidential nomination on Thursday night, entering and departing the stage as the prohibitive favorite to win the presidency. Forget the polls showing the race neck and neck, the breathless commentators saying that Donald Trump is “moving” on security issues. Americans are not lining up to elect the egregious Trump, the most unpopular candidate in the modern history of presidential politics, to the presidency. But just because the race is Clinton’s to lose doesn’t mean it can’t be lost. Campaigns may not matter much, but in a deeply divided nation, they matter enough. And, at a time when two-thirds of Americans still think the country is on the wrong track, there is one critical question in this campaign: Who is the credible candidate of change? 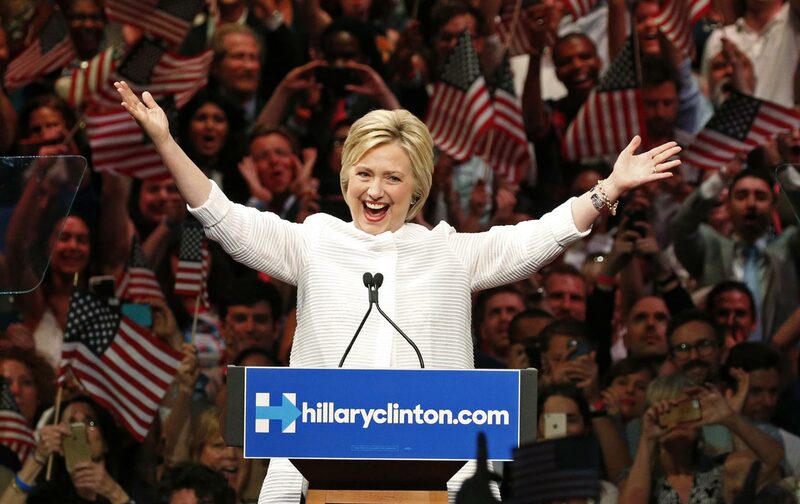 The challenge for Clinton on Thursday night is to make herself that candidate. This isn’t exactly conventional wisdom. After Trump’s Republican convention and his rambling, apocalyptic one hour and 15-minute acceptance diatribe, Democrats hoped to “grab the center.” The selection of Virginia Sen. Tim Kaine as vice-presidential nominee followed. The Democratic convention and easy slogans—inclusive, socially liberal, “stronger together,” “building bridges, not walls,” advertising competence and experience—contrast naturally with the Republican gathering.